Would you like to give back to the White Mountain National Forest? Would you like to do your part to help ensure good hiking trails for all to enjoy? 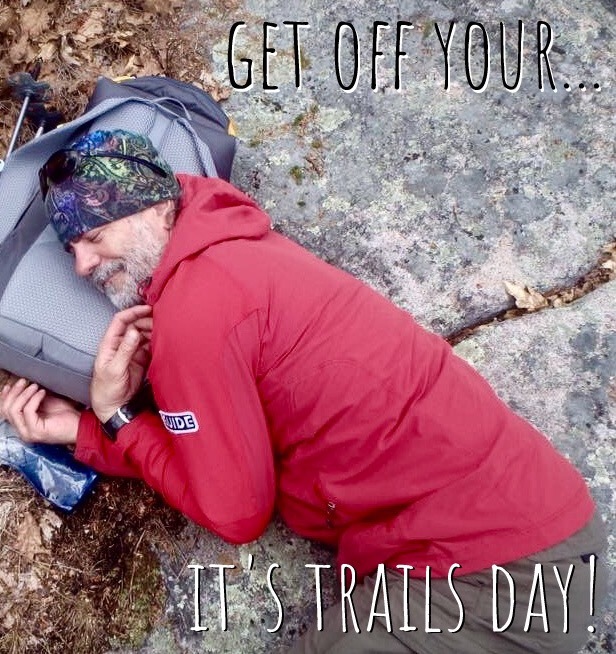 If so, join us on June 23rd, 2018, for our first annual Volunteer Trails Day with Redline Guiding, the NH Trail Workers’ Group, and the United States Forest Service (Saco Ranger District). This is a FREE event and anyone who wants to do their part is welcome and encouraged to attend. In fact, bring a friend! What: Learn how to do trail work using the latest and greatest best practices, and then the rest of the day put that new found knowledge to use by working on a local trail (to be determined). When: June 23, 2018 from 8AM to 4PM (approximately). Who: Co-sponsored and taught by Redline Guiding, the NH Trailworkers Group, and the USFS. Why: Because you use these trails, you love these trails, and because you care. Exciting stuff, right? Want to get started doing your part right away? Please share this event with your family and friends. If you would like to RSVP, you can do so on Facebook. Otherwise, you may just show up. Great news! A new contributor to this event, Ridj-It, a Ride Sharing Adventure Company, arranged for a local favorite, the Tuckerman Brewing Company, to sponsor our effort and reward our volunteers and leaders with flights of beer at their brewery located at 66 Hobbs St in Conway after the event. This is good because trail work can make a person thirsty. Must be 21. Limit one per person. Together we use this forest, together we can treat it right.